I love resources designed to make teachers lives easier. 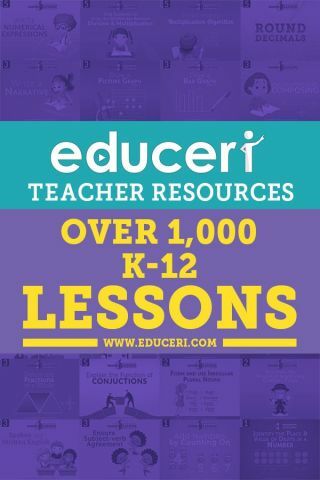 The folks at Educeri have put together a terrific online resource of K-12 lessons that include lots of resources for teachers. They have real lesson plans, created by educators that align to the national standards. As a big believer in the power of formative assessment I’m also excited that they have a check for understanding tool built in to the platform. Teachers can join Educeri for free for a month and get unlimited access to more than 1,000 K-12 lesson plans. Once you’re in, simply click to find lesson plans by topic, grade level, and subject area. The platform is designed so teachers can teach lessons directly from their web browser and have access to student handouts with every lesson. Instead of spending time writing lessons teachers can dive into the content and have plenty of great resources at their fingertips. If you’d like to learn more and try out Educeri for free just visit their website!